Copper One Lodge are ski in ski out condos in Copper Mountain Real Estate. 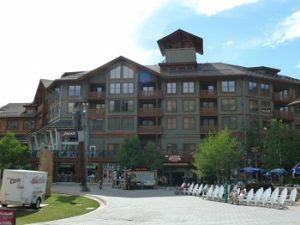 Located in Center Village and steps from the American Eagle and American Flyer lifts places Copper One Lodge condos at the center of everything in Copper Mountain, Colorado. Built in 1999 there are 63 condos comprised of 7 – studios, 17 – one bedrooms and 39 – two bedrooms. Each condo at Copper One Lodge has a spacious deck for relaxing after enjoying the vast array of activities Copper Mountain and Summit County, Colorado have to offer. Copper One Lodge also has underground garage parking, ski lockers, bike storage, an outdoor hot tub, steam room and fitness room. Copper One Lodge is a must see for those looking to be in the action and close to slopes in Copper Mountain Real Estate. For additional information about Copper One Lodge condos, other condos for sale in Copper Mountain CO and for general inquiries about Copper Mountain Real Estate, contact Justin and Krystal Knott with LIV Sotheby’s International Realty or start your search with us online today.